Sanofi Corporation was incorporated in 1994 as a société anonyme, a form of limited liability company, for a term of 99 years. In 2004, after a merger with Aventis, it operated under name Sanofi-Aventis until 2011.Since May 2011, it has operated under the commercial name “Sanofi”. Sanofi is a leading global healthcare company, fifth largest pharmaceutical company globally by sales, focused on therapeutic solutions. Sanofi has three principal activities: Pharmaceuticals, Consumer Healthcare (CHC) and Vaccines via Sanofi Pasteur. Sanofi sells prescription drugs mainly to wholesale drug distributors and rare disease products are also sold directly to physicians. 1. Increasing availability of Counterfeit drugs: Counterfeit drugs is a growing menace especially in the emerging markets in Asia and Africa which is impacting major pharma players including Sanofi. Counterfeit Drugs affect Sanofi in two ways, first by decrease in sales due to low pricing and second by affecting the brand image of Sanofi, if counterfeit drug has any side-effects and below par performance. 2. Threat from cheaper generic alternatives: Branded pharmaceutical products lose their patents which pave the way for cheaper generic alternatives. This impacts the sales of the original brands in a major way. For example, Basaglar is generic drug of Lantus, from Eli Lilly and Boehringer Ingelheim Pharmaceuticals, whose price is approximately 15% less than of Lantus. Since its introduction in US 2016, Sanofi has lost revenue of €760 million from Lantus in 2017. In 2018, Mylan and Biocon have also secured EU approval for their their biosimilar for Sanofi’s Lantus which will further impact the company. 3. Fierce Competition: There is a huge competition among big pharma companies to capture the market share, the two-important factors that determine the winner is; the first mover in respective drug line, and complexity of manufacturing ground-breaking drug. An Example of this is U.S. Food and Drug Administration’s approval of two PCSK9 inhibitors, Repatha and Praluent from Amagen and Sanofi. Initially, the analyst estimated revenue of $6.1 billion for Praluent, but Sanofi has lost both first mover advantage and patent due to intense competition from Amagen and new product introduction by Pfizer in next two years, and analyst have revised their estimates. 4.Increased transparency expectations leading to new regulations: There are two types of transparency laws advocated by states in US; state price transparency laws and healthcare provider transparency laws. Both these laws impose obligations for price reporting, annual registration of sales representatives, and to submit details of payments made to HCPs by sales representatives. One of the impact with the new amendments is the pricing information of a drug will be available in public domain. This is also expected decrease the competitive advantage and lead to price capping by Government in cases of exorbitant pricing. Hence it would affect the revenue and profit margin of the company. 5. Pricing pressures due to concentration of the US market: The United States is one of the major markets for global drug makers. As the managed care organizations (MCOs) and pharmacy benefit managers (PBMs) are growing in size following major consolidation deals, pharma companies such as Sanofi are seen facing increased pricing pressure and usage negotiations. Despite a reduction in rates and increased negotiations, Sanofi suffered a setback in 2016 when CVS and UnitedHealthcare (UHG) announced that it would exclude Lantus/ Toujeo from commercial and MMC (Medicaid Managed Care) template. This would lead to increase in costs for Lantus/ Toujeo for patients under CVS and UHG, thus reducing its effective sales. Thus PBM and MCO concentration is likely to sustain and increase pricing pressures, negatively impacting Sanofi’s revenues margins. 1. Efficient Clinical Trial: Technology can be used to analyse the data and come up with insights that can be used to select the subjects for clinical trial. Similarly, the remote monitoring technologies such as sensors, connected devices and apps can be used to collect the data during the duration of clinical trial. In US, there has been efforts to make real time data available at low cost, e.g. 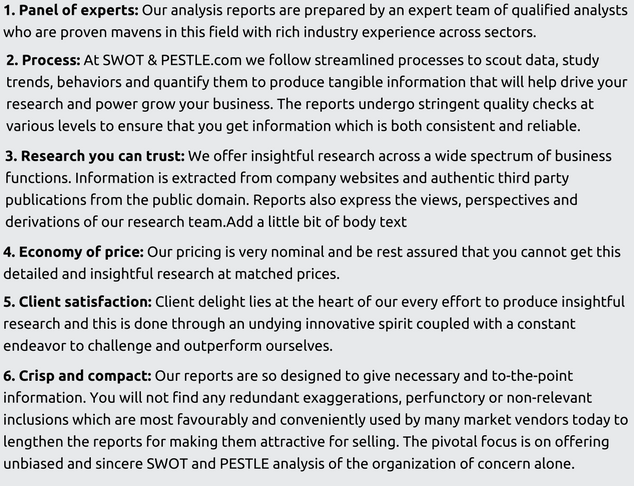 PCORnet, a distributed research network. This will help in increasing the accuracy of the data collected, decrease the cost of clinical trial, and decrease the time of clinical trial selection process. Sanofi has collaborated with TriNetX to design the patient recruitment process. Similarly, tie-up with MDConnect helps the company to recruit patients online. Both MDConnect and TriNetX helps in reducing the time taken to launch the new product. Sanofi is also working with Science 37 to reinvent the whole clinical trial process by trying to shift trial site from hospitals to patient’s home. 3. Digitization, artificial intelligence and technological breakthroughs: Sanofi is leveraging the big data to cut time taken in development of therapies. Sanofi has invested in developing the big data platform ‘DARWIN’, which helps Sanofi to collect and analyse the real world unstructured data to get meaningful determinants to treat diseases. DARWIN has helped in developing over 40 real-world-evidence projects. Also, Sanofi has been investing €4.7 billion in phases over last 5 years in digital upgradation and integration of manufacturing plants to be more productive, agile, flexible and cost-effective. Sanofi has taken initiatives to train operators in using augmented reality and digital 3D models of workshops and production line. 1. Environmental liabilities and Evolving regulations: Stricter environment and safety laws could result in substantial increase of the cost and moreover, if a hazardous event occurs, potential monetary loss and damage to brand is very high. Evolving regulation across the world has made both establishing a manufacturing plant and maintaining it a challenging task. For example, new regimes in Europe include REACH, CLP/GHS SEVESO, the waste Framework Directive, and the Directive on Taxation of energy products and electricity and several other regulations aimed at global warming. 2. Contaminations around manufacturing facilities: There have been multiple cases of ground water contamination in Sanofi’s manufacturing plants. And Sanofi has spent €67 million on rehabilitating sites previously contaminated by soil or groundwater pollution. Moreover, closer look into the notes of annual report reveals that company has provision of €685 million as of December 31, 2017 for the legacy of environmental pollution. 3. Sustainability initiatives for reducing environmental footprint: Sanofi has taken many initiatives to reduce greenhouse gases(GHG) and reduce water consumption in manufacturing sites. The steps taken to reduce GHG are Consume less by optimizing energy efficiency, Consume smarter by reducing energy consumption and Consume differently by using renewables. Along with aforementioned steps Sanofi has joined Science-Based Targets initiative (SBTi) with a focus on aim of carbon reduction. Sanofi has already established targets on our scope 1 and scope 2 emissions that are aligned with SBTi and will define scope 3 emissions targets. Similarly, Sanofi has internal water resource management plan because of which the level of water used has decreased by 22.6% over the last 7 years. Sanofi has taken step towards responsible use of water and Management of wastewater discharge by establishing strict operational procedures. 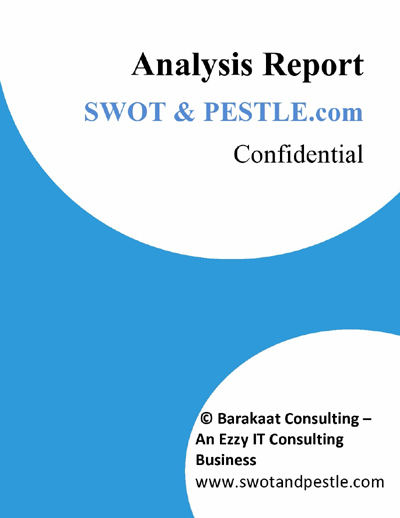 Sanofi SWOT and PESTLE analysis has been conducted by Pavankumar S and reviewed by senior analysts from Barakaat Consulting. 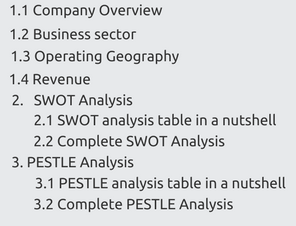 Copyright of Sanofi SWOT and PESTLE Analysis is the property of Barakaat Consulting. Please refer to the Terms and Conditions and Disclaimer for usage guidelines.